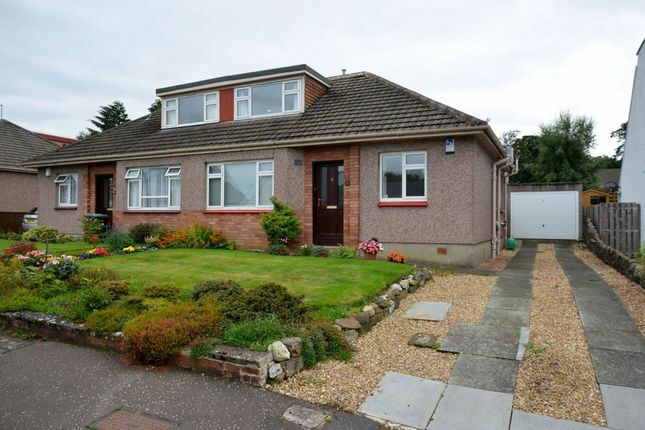 By appt contact solicitors Early viewing recommended of this extended semi-detached bungalow, offering a lovely family home with accommodation over two levels, in excellent condition. Set in this sought after residential district in easy reach of the local amenities, schools and main commuting routes. Entrance Hall, Lounge with stove, new Fitted Kitchen with appliances, Master Bedroom with new en-suite Shower Room, 2 further spacious Bedrooms, new Bathroom. Gas Central Heating. Double Glazing. Good storage. Large, well-stocked gardens.â€ƒLong driveway to detached Garage. Garden Shed.